I’ve told you that we have been falling in love with Indian food lately. Sometimes I cannot get enough of it. Maybe it’s that smoothness of the curry sauces, of the simplicity of the ingredients, or heck all of the spices that just make for a wonderful meal. I can tell you that my freezer is pretty much loaded with garlic naan right now as well, and my closet is full of a variety of dal. Yes, we are true fans. There is however a wide variety of desserts and drinks that the Indian culture bring to the table, and one of those are lassi. 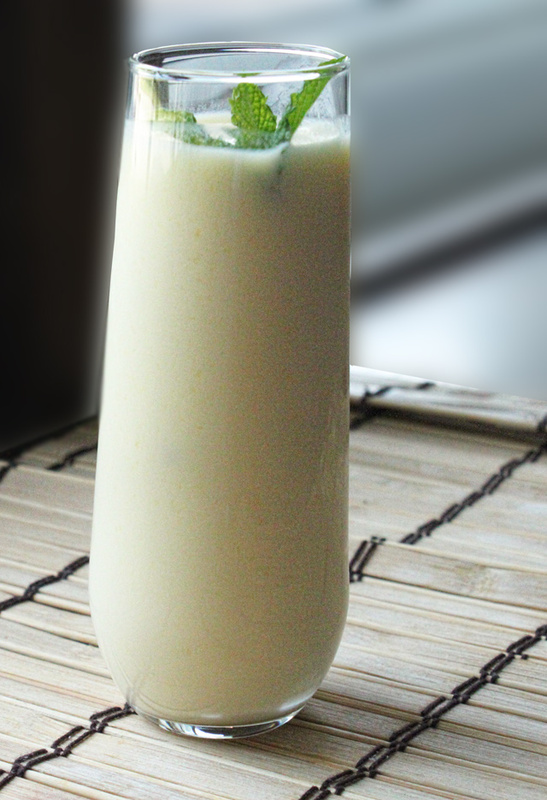 Think of lassi as the Indian smoothie. The basic version is really yogurt, water, and spices, however there are also savory types, and sweet types of lassi. 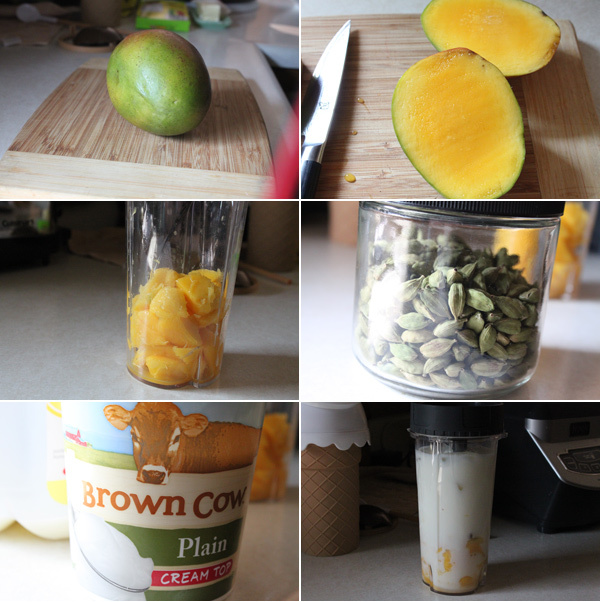 I’m a fan of the sweet type, and hence the mango lassi. This mango lassi is not only delicious, but it is super refreshing on a hot afternoon. The result is nothing short of amazing. It’s smooth, creamy, and slightly sweet. It’s perfect on any summer afternoon, and one that my daughter and I fell in love with. Hope you enjoy!